Townsville has an amazing amount of wildlife living in the town and it’s not hard to experience wildlife first hand in your own backyard. The many parks and nearby natural spots and national parks offer even more possibilities to experience the flora and fauna and then of course there is the sea and the Great Barrier Reef right on our doorstep. How spoilt we are. For more of an experience: Alligator Creek and the walk to Alligator Creek Falls, Paluma, Crystal Creek (both Little, Big and the rock slides), Hidden Valley Cabins, Jourama Falls, Wallaman Falls, Billabong Sanctuary and the Reef HQ. 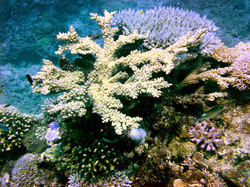 Reef HQ is home to the world's largest living Coral Reef Aquarium. Not only is the aquarium an award winning tourist attraction in North QLD, it is also the National Education Centre facility for the Great Barrier Reef Marine Park Authority, and home to thousands of incredible fish and reef creatures. 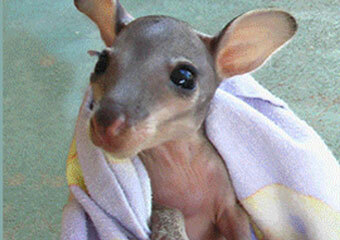 NQ Wildlife Carers rehabilitate sick, injured and orphaned native fauna from acquisition to release. They provide mutual assistance, support and information about the care of sick, injured and orphaned native fauna and provide education concerning native fauna to the community. NQ Wildlife Carers give access to release sites approved by Queensland National Parks and Wildlife Service and provide access to resources at minimal cost. 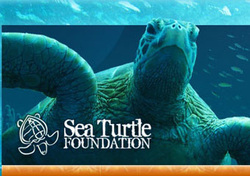 Sea Turtle Foundation is a non-profit, non-government group working to protect sea turtles through research, education and action. We are safeguarding sea turtle populations, migration routes and habitats, and supporting activities that increase sea turtle numbers worldwide. Sea Turtle Foundation is involved in several research projects that will improve our understanding of the sea turtle life cycle. The greater our knowledge of the sea turtle life cycle, the better able we will be to reduce threats and implement effective management strategies.